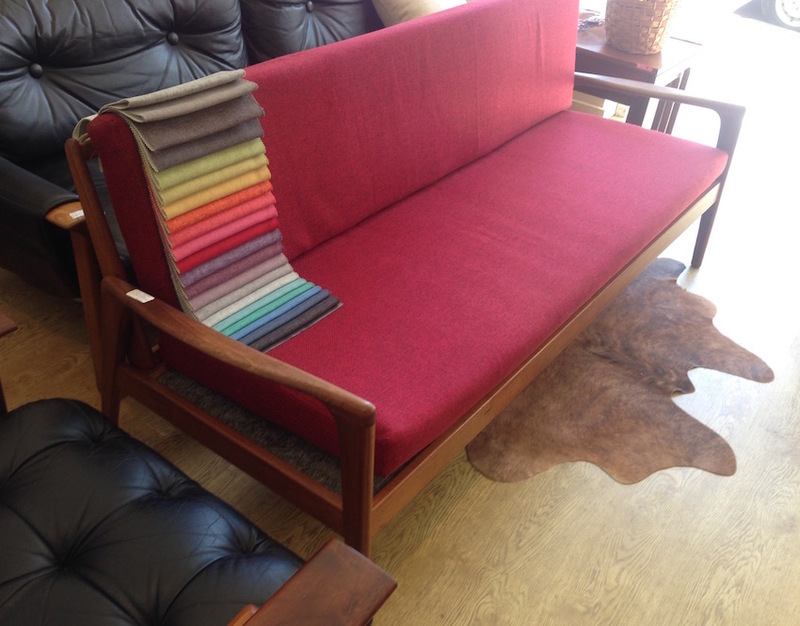 This nice early 1960s blackwood daybed is a rare model with a very nice arm profile and in exceptional original condition. 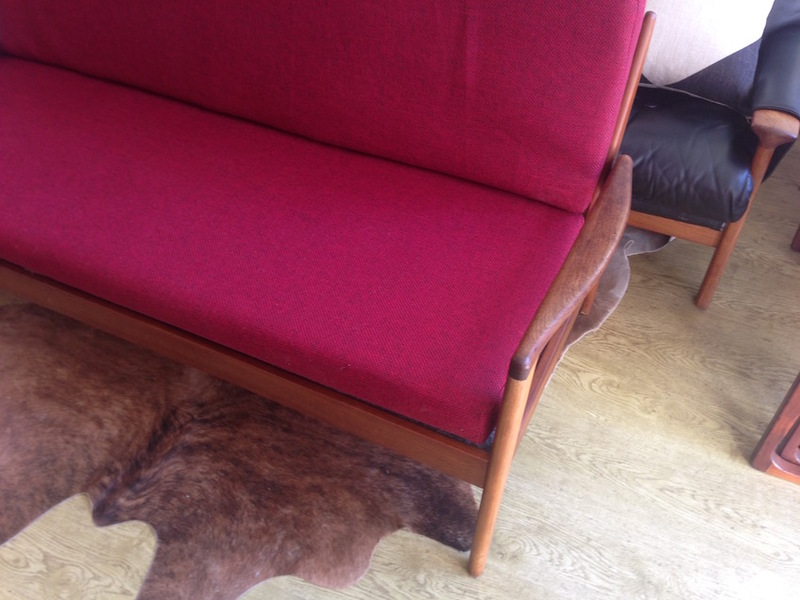 It has been recovered at some point and the red covers are still in very nice condition but the foam in the cushions could do with replacement. 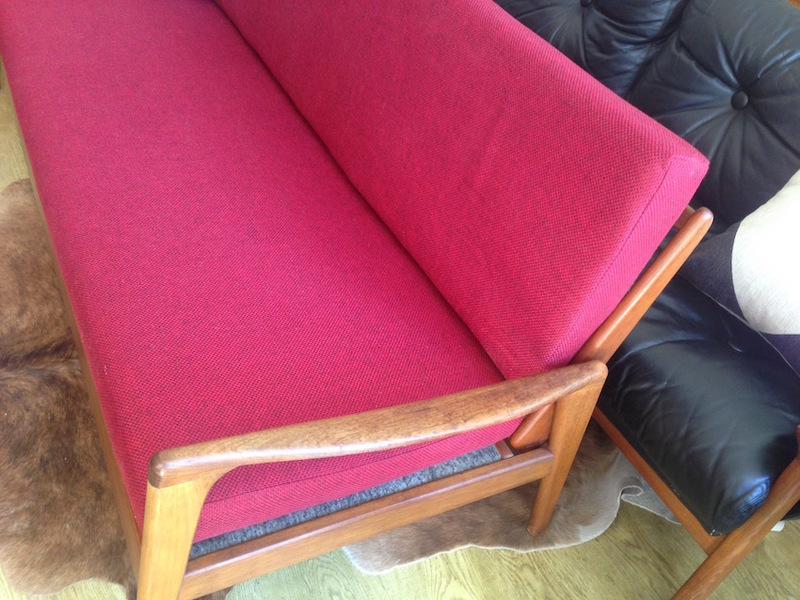 Alternatively we can offer it fully recovered in your choice of fabric. 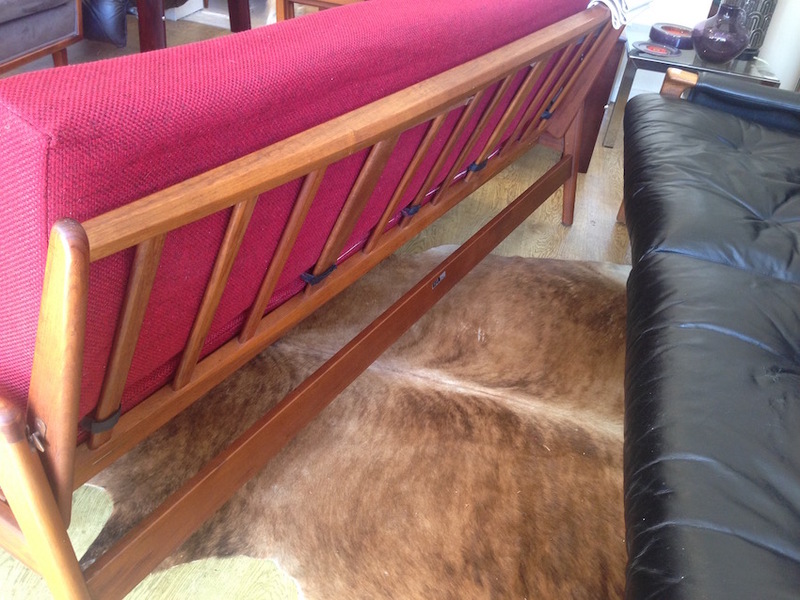 We also have a Fler Narvik day bed frame with 2 low back matching chairs available. 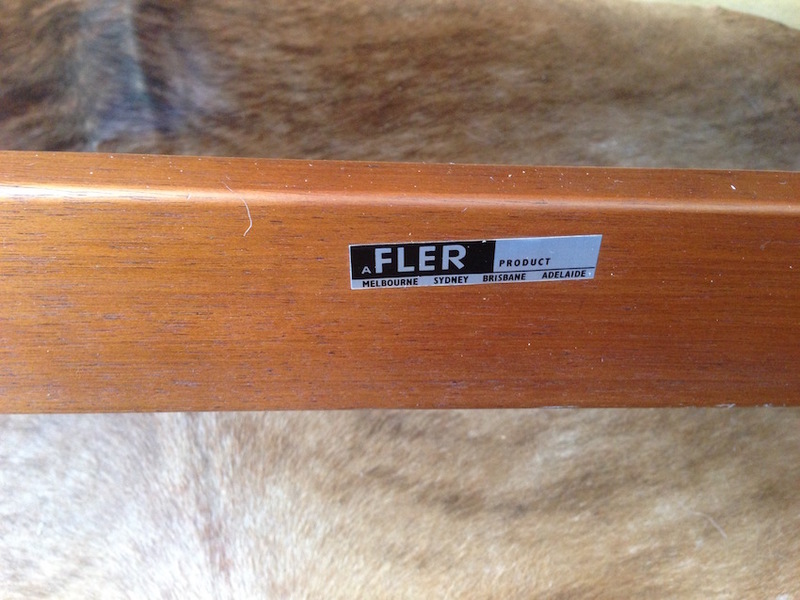 SOLD but we often have similar Fler and Danish deluxe daybeds for sale. Email to check availability.